Born November 5, 1919 in Coventry, England. Clarry played soccer in school, college, company and recreational teams until he immigrated to the United States in 1949. He joined the Caledonia Soccer Club upon his arrival in Salt Lake City, which was part of the then Salt Lake Recreational League. Clarry, along with others, was instrumental in the restructuring of the Utah Soccer Association as we know it today. Starting in 1952 he served as secretary in a number of administrations. 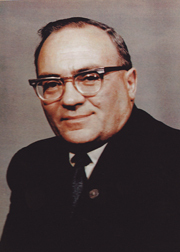 Clarry served a President of the Utah Soccer Association from 1974-1976, after which he retired from his administrative duties.